In a quiet position with dreamlike view, gourmet breakfast on the terrace, indoor pool, sauna & sunbathing lawn – ideal for families, hikers & cyclists! Welcome to Pension an der Linde*** in Algund near Meran! 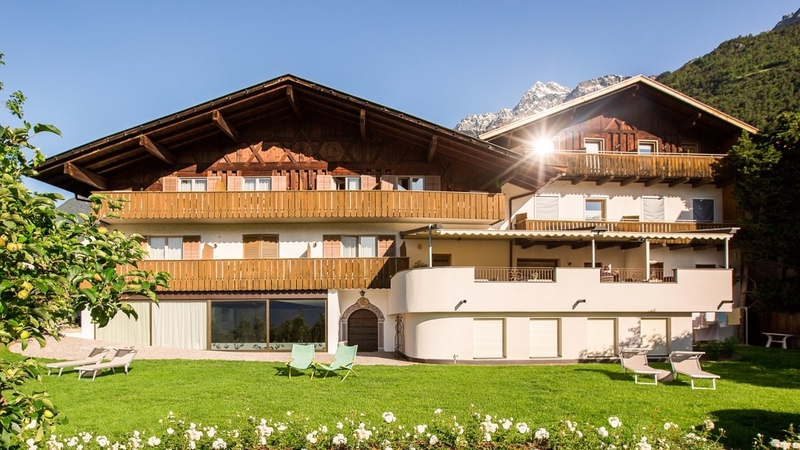 Treat yourselves to a beneficial break at the Pension an der Linde in Algund, above the Mediterranean spa city of Meran. The love for details, the quiet position and the magnificent view guarantee you relaxing holidays in our house. After a relaxing night, we pamper you with our gourmet breakfast in the comfortable breakfast room or on the panoramic terrace – panoramic views meet good taste! Our indoor pool, the sauna or the sunny garden are the perfect places for regenerating your energies. On the terrace and in the lounge area, we offer free Wi-Fi. As well, our little guests may look forward to a playing corner in the garden. Families benefit from special offers with reduced prices for children. Children’s beds and high chairs are at your disposition, too. In front of the Pension, we offer a parking area for guests and on request, we organise your transfer from the train station. 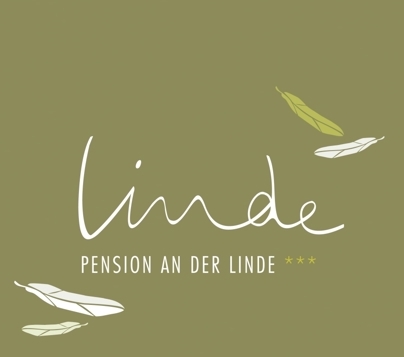 The Pension an der Linde is located only a few steps from the village centre of Algund and from the ropeway. In the environs, you can find a variety of bike and hiking tours and the beautiful “Waalwege”. We also recommend an excursion to the vivid centre of Meran, to the thermal baths or to the Gardens of Trauttmansdorff Castle.